It’s Opposite Day in the alternative business funding industry. Lenders are splitting card payments and merchant cash advance companies are doing ACH debits. Jacqueline Reses was not an odd choice for Transact 16’s Wednesday morning keynote. Square, the company she works for, has continued to be a hot topic in the payments world for years. But what was striking is that Reses heads the lending division, the group that allows merchants to pay back loans through their future card sales. If that sounds very merchant-cash-advance-like, it’s because that’s exactly the product they used to offer before changing the legal structure behind them. Split-payments, not ACH payments, have literally propelled Square and PayPal to the top of the charts of the alternative business funding industry. One individual on the exhibit hall floor posited that Square’s ability to originate loans through their payments ecosystem was the company’s real value; Payments itself was secondary. It’s a testament to the opportunities that split-payments affords to (as I argued 3 years ago on the ETA’s blog) a company well positioned to benefit from it. Meanwhile, the companies at Transact that one would have historically described as merchant cash advance companies have mostly transitioned away from split-payments to ACH. Essentially, Square and PayPal embraced splits as an incredible strength while yesterday’s merchant cash advance companies viewed splits as a handcuff that limited scalability. The payment companies became merchant cash advance companies and the merchant cash advance companies became something else entirely, a diverse breed of loan and future receivable originators operating under a label people are now calling “marketplace lenders.” But even Square and PayPal, arguably the two companies at Transact doing the most split-payment transactions, claim to make loans, not advances. Ten years. That’s the average age of the small business funding companies that exhibited at Transact this week. They are but the last remaining players that probably considered the debit card interchange cap imposed by the Durbin Amendment of Dodd-Frank as being among the most significant legislation that affected their businesses. A senior representative for one credit card processor told me at the conference that their biggest gripe with new merchant cash advance ISOs today is that they know almost absolutely nothing about merchant accounts. It’s not that they know less, they know nothing, he said. One company was notably absent from the floor this year, OnDeck. They’ve since embraced the marketplace lending community as their home, just as many others have. Nine years ago, I overheard a very influential person say that the first company to be able to split payments across the Global, First Data and Paymentech platforms would be crowned the “winner” of the merchant cash advance industry and by extension the wider nonbank small business financing space. If one were to define the winner as the first company from that era to go public, well then those 3 platforms played no role. OnDeck was the first and they relied on ACH payments the entire way. They also refer to themselves these days as a nonbank commercial lender. If that doesn’t sound very payments-like, it’s because it’s not. What cause is being Advanced? At least four coalitions are currently advocating on the marketplace lending industry’s behalf, the Coalition for Responsible Business Finance, the Marketplace Lending Association, the Small Business Finance Association, and the Commercial Finance Coalition. 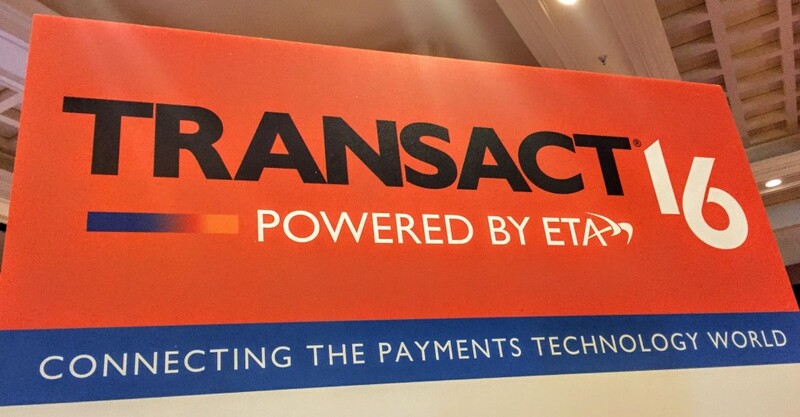 The Transact conference is put on by the Electronic Transactions Association whose tagline is “Advancing Payments Technology.” In an age where new merchant cash advance ISOs know nothing about payments, it’s no wonder there’s a growing disconnect. Could Transact now be one of the best kept secrets? A few people from companies exhibiting say that they believed they stood a better chance to land referral relationships from payment companies by being there and that there was still a lot of value in landing those deals. Partnerships like these may be why the average exhibitor has been in business for 10 years while today’s new companies relying solely on pay-per-click, cold calling, or handshakes are falling on hard times. Some payment processors acknowledged that merchant cash advance companies were still a good source to acquire merchant accounts, though the process by which that happens is not the same as it used to be. A lot of it is referral based now, according to one senior respresentative for a card processor. The funding company funds a deal via ACH and then refers them to the payment guy to try and convert that as an add-on. The residual earnings may not be as good as they used to be but that’s because they don’t have to do any work in this circumstance. In a sense, funders are still leading with cash but instead of the boarding process being mandatory, it’s an entirely separate sale that sometimes works and sometimes doesn’t. In that way, small business funding companies can be a good lead source for payments companies.